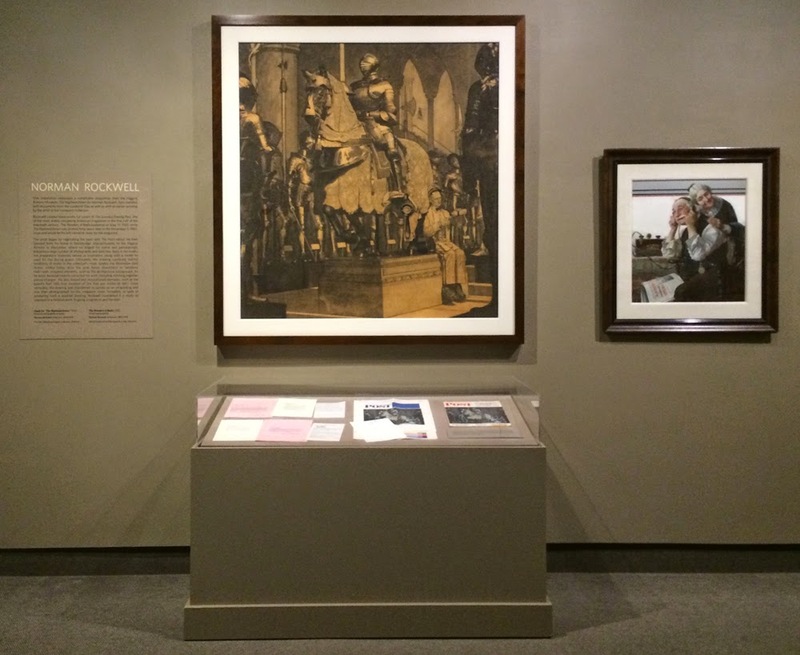 From November 5, 2014 through February 8, 2015, come see Norman Rockwell, on view in the American Gallery on the 4th Level. This focused exhibition features the oil painting, The Wonders of Radio (2002.526), the large-scale drawing, Study for “The Nightwatchman” (2014.142), recently acquired from the Higgins Armory Museum, and letters related to the drawing’s manufacture. 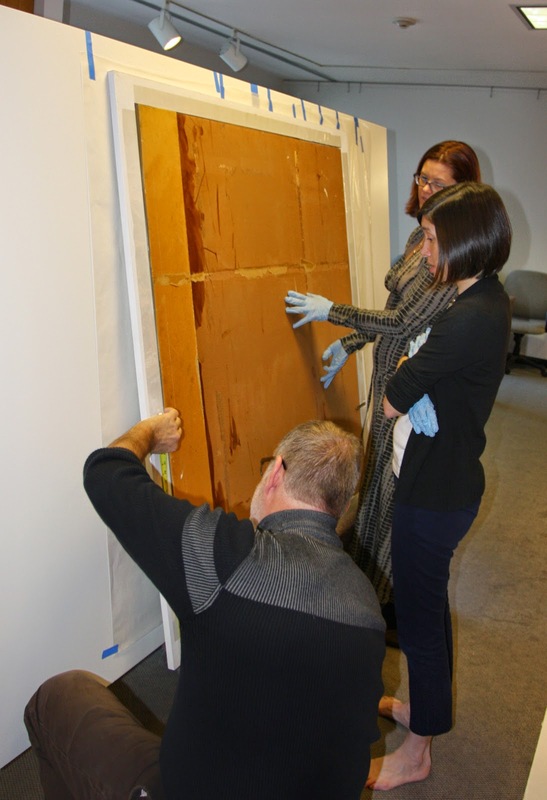 Did you know that in preparation for the drawing’s display a new frame was purchased and customized by the museum’s Collections and Fabrication Department in consultation with the Curatorial and Conservation Departments? The Nightwatchman is a charcoal and graphite drawing on paper adhered to particle board. The drawing extends to the edges of the board, which have an irregular profile, the result of being cut down in the past. Pressure fitted into its frame, the drawing’s delicate edges were vulnerable to damage. A new frame and liner were selected not only to better protect the drawing’s edges, but also to complement the drawing. In addition to being able to provide additional protection to an artwork, a liner also serves as an aesthetic component to a frame. In this case, a white liner was selected to match the white liner surrounding The Wonders of Radio, uniting the drawing and painting for this exhibition. We hope you enjoy the new presentation of The Nightwatchman! 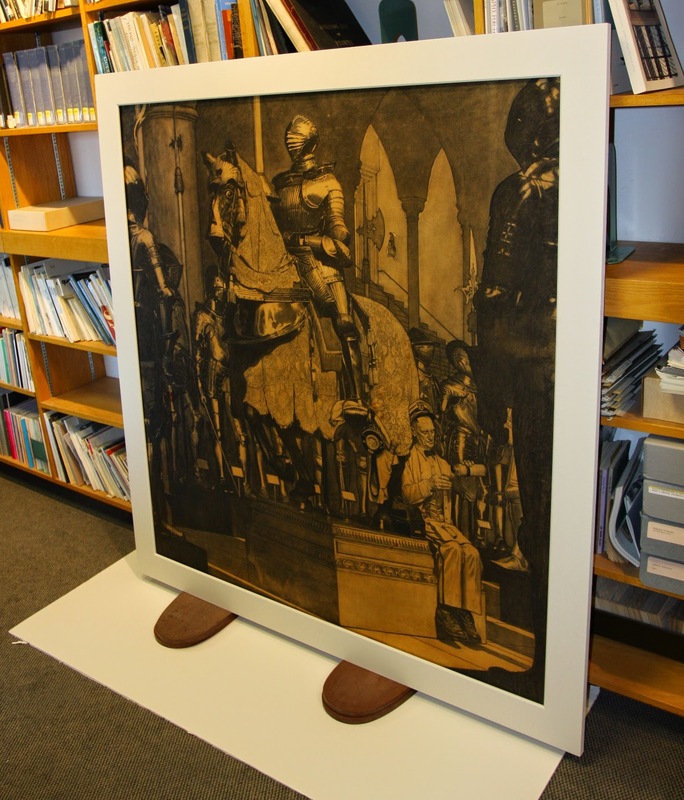 Above left: The back of Study for “The Nightwatchman” after being inserted into its white liner, which is padded with felt and covered with polyester film to protect the drawing’s delicate edges. Above right: Study for “The Nightwatchman” after being inserted into its white liner, which is padded with felt and covered with polyester film to protect the drawing’s delicate edges.